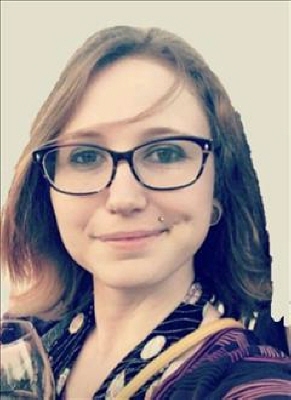 Hannah Marie Pratt Deaver, age 29 of Gainesville, Georgia passed away Friday, August 10, 2018. Survivors include her husband, David Deaver of Gainesville; father, Bruce and Marie Pratt of Jasper; brothers, Glenn Pratt of Omaha, James Pratt of Japan; and best friend, Christina Mayfield of the Ludville Community. Services will be held 2:00 p.m., Sunday, August 19, 2018 in the Chapel of Roper Funeral Home with Dr. Craig Chester officiating. The family will be receiving friends at Roper Funeral Home Sunday, August 19, 2018 from 12:00 p.m. until 2:00 p.m. In lieu of flowers, the family requests donations be made in Hannah's honor to any suicide prevention organization. To send flowers or a remembrance gift to the family of Hannah Marie Deaver, please visit our Tribute Store. "Email Address" would like to share the life celebration of Hannah Marie Deaver. Click on the "link" to go to share a favorite memory or leave a condolence message for the family.